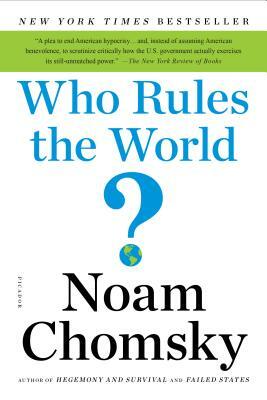 In an incisive, thorough analysis of the current international situation, Noam Chomsky examines the way that the United States, despite the rise of Europe and Asia, still largely sets the terms of global discourse. Drawing on a wide range of examples, from the sordid history of U.S. involvement with Cuba to the sanctions on Iran, he details how America’s rhetoric of freedom and human rights so often diverges from its actions. He delves deep into the conflicts in Iraq, Afghanistan, and Israel-Palestine, providing unexpected and nuanced insights into the workings of imperial power on our increasingly chaotic planet. And, in a new afterword, he addresses the election of Donald Trump and what it shows about American society. Noam Chomsky is the author of numerous bestselling political works, including Hegemony or Survival and Failed States. A laureate professor at the University of Arizona and professor emeritus of linguistics and philosophy at MIT, he is widely credited with having revolutionized modern linguistics. He lives in Tuscon, Arizona.